This project was to provide and install four new pre-purchased roof top units, repair roof insulation and upgrade the control system at the FAB Building. 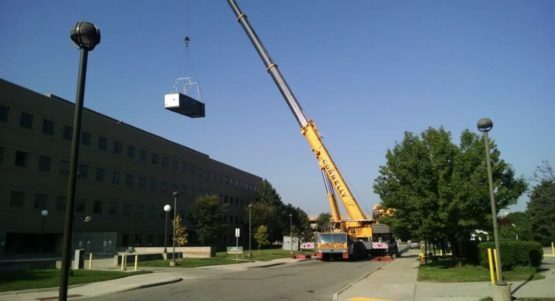 This work required coordination with WSU facility to maintain their daily operations while replacing the roof top units and holding building temp. The construction process required large crane picks around the building to remove and install new roof top units.